The amount of tourists visiting Colombia almost doubled since 2010, according to the Administrative Department of National Statistics (DANE). DANE reported that the number of foreigners and Colombians living abroad visiting the Andean country rose from 2.6 million in 2010 to 5.09 million in 2016. Bogota claimed almost half of last years visitors, with 46.8% of travelers visiting the capital. 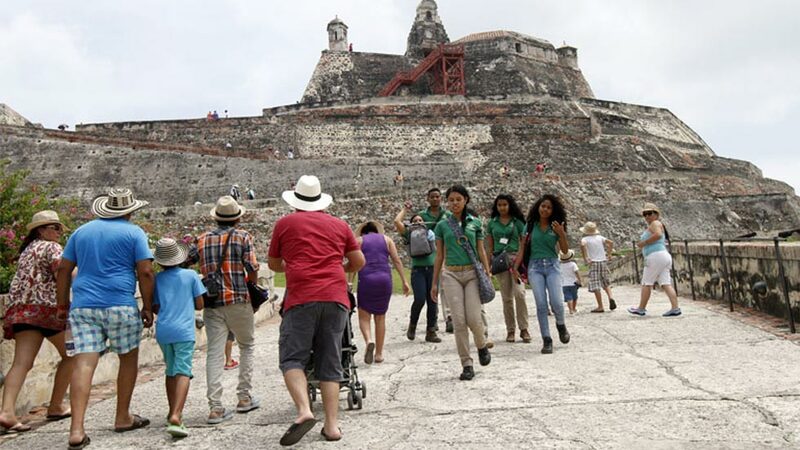 The Atlantic region was found to be the second most popular destination, offering plenty of beaches and port towns, including Cartagena, known for its UNESCO world heritage fortress and old town. The region of Antioquia came third, while also showing the highest growth in tourism, increasing on 2015’s numbers by 24%. This was attributed to the four distinct components available for tourists: nature, culture, patrimony and events. Tourism is fast becoming a pillar of Colombia’s economy, sustaining a growing numbers of travel and adventure companies as well as hotel and restaurant businesses. Spurred on by the sector’s dramatic growth, the government has launched the “100 actions in 500 days” initiative. The program seeks to employ strategies that will make Colombia the most desirable destination in South America, focusing on eight core ideals that include training, education and infrastructure, according to El Espectador. Security will also be a focus of the initiative, as Colombia’s police division dedicated to tourism will grow from 918 officers to 1300 by the end of 2017. The ongoing peace process between Colombia’s government and the Marxist-inspired FARC rebels has received a lot of positive publicity in the international media over the past year or so. Last year President Juan Manuel Santos was recognized for his work by being awarded the Nobel Peace Prize, which put Colombia’s drive for peace further in the spotlight. A host of international diplomats have visited the South American country over the course of the process and this year Colombia welcomed the presidents of France and Ireland, publicizing further that security is improving and it is a viable destination for travelers.